When exploring a new place or traveling to a new destination, buses are often the best choice. Many people prefer public transportation when it comes to getting around, especially in urban areas. 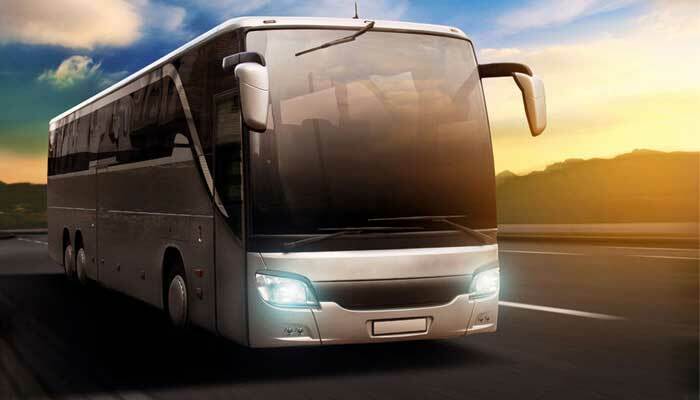 If you own a bus charter or bus tour service, you can start attracting more customers by offering payment processing solutions for credit card holders. Instabill’s bus charter merchant accounts are a simple and fast solution for anyone looking to get their bus service business off the ground. Getting started with the merchant account application process is easy. All you have to do is provide a few details about your business, and our merchant account managers will start looking for a solution for you right away. To begin the application process, simply click the button above or contact us to speak with a live representative. Many Instabill merchant accounts come with the capability of real-time processing. This means that when a customer pays for your service, the charges are automatically applied. While it will still take time for your business to receive the funds (this goes according to your payout schedule), the funds will be charged to the customer immediately upon authentication. This is a good solution for merchants who operate out of stations or have mobile payment processing capabilities. Our bus charter merchant accounts come with the capability to accept multiple currencies. While this largely depends upon your individual qualifications, bus charter merchants could be able to accept US dollars, British pounds, euros and more with their Instabill merchant account. Instabill works with both domestic and offshore acquiring banks to provide bus charter and tour merchants with the best possible credit card processing capabilities. Upon applying for a merchant account, one of our merchant account managers will analyze your qualifications and pair you with the best acquirer possible.